Pilsen, a primarily Mexican-American neighborhood in the lower West Side of Chicago, has a rich history and culture that is evident in the art and food. Murals decorate a myriad of walls and doors; often the artist’s opinions on a common issue or an aspect of history are incorporated into the art. Daniel Gutierrez, the owner of the restaurant Nuevo Leon, commented on the influx of artists. 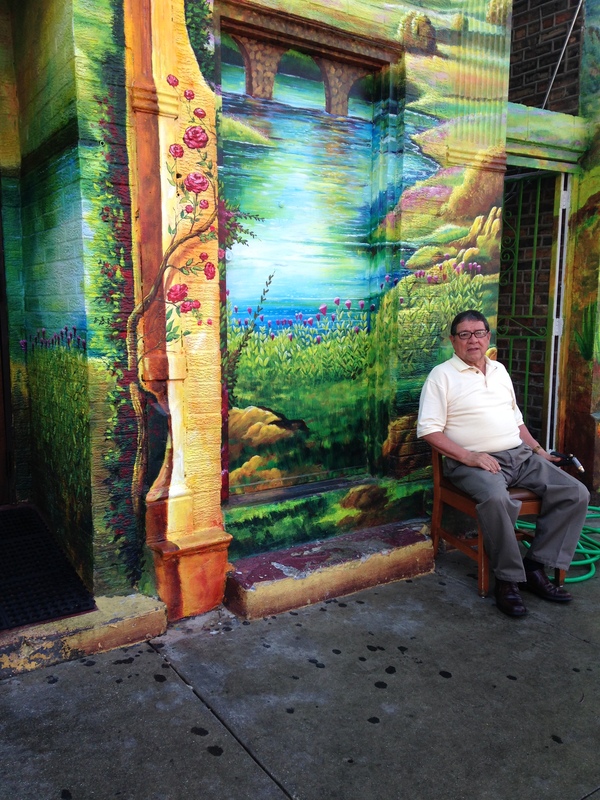 His restaurant is completely covered with a colorful artwork painted by Juan Solano, who is only one of the many starving artists in Pilsen’s thriving art community. Gutierrez also discussed the positive changes in the town. “Everything has changed in the last 20 years… We have a lot of Anglo-Americans coming to the neighborhood; we have a lot of businesses owned by Anglo-Americans… The neighborhood has changed for the better,” he said. The borders of Pilsen are 16th Street to the north, Cermak Road to the south, Halsted Street to the east, and Western Avenue to the west. Pilsen, originally Plzeň, used to be a Czechoslovakian neighborhood, but the only evidence of Czech influence now is the names of a few businesses. Carlos Arango, a man who has worked in Pilsen every day for many years, has noticed the same changes as Gutierrez, but is less positive about it. “It’s totally changed. They’ve lost 10,000 Mexicans in the last census. Hipsters are coming in, students, upper middle class whites… you don’t really see it, but it’s a sentiment,” he said. However, Arango had great things to say about the authenticity of Pilsen, and he listed ethnic restaurants and his personal favorite eateries in town.